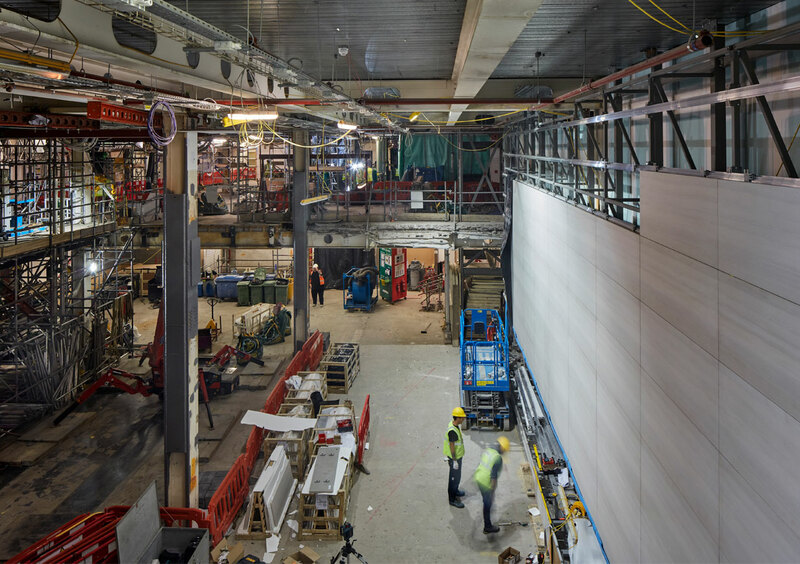 We have helped transform Apple Regent Street in just 10 months on site and with major structural interventions. Five floors of live offices above were temporarily supported whilst highly loaded columns were removed to open up the retail space. A temporary store in the basement operated throughout. Working with Foster + Partners, the project is our latest for the retail brand, following the new design concept revealed at recently opened stores in San Francisco and Brussels. 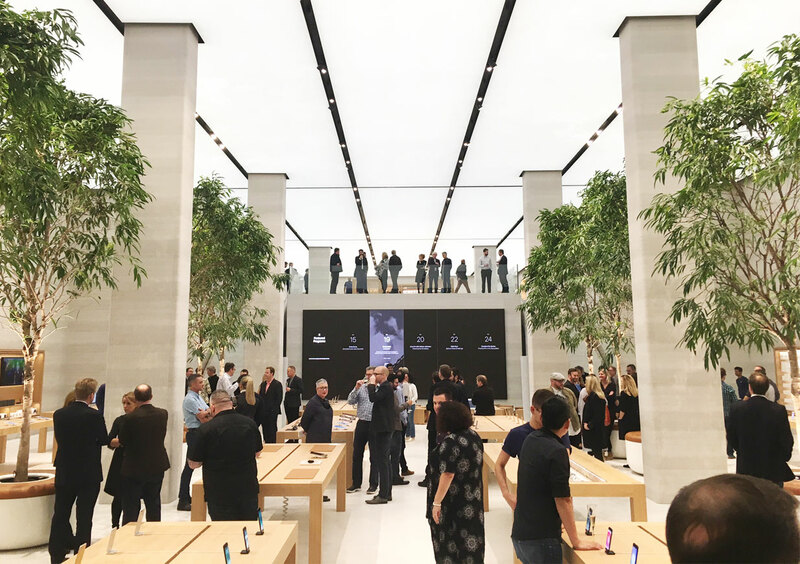 EOC were engineers on the original scheme in 2004, the first year of our practice, and it was then Apple’s first flagship store in Europe. As part of that work, we engineered its feature structural glass staircase, floor and bridge. At 2.4m, the staircase had the widest free-spanning glass treads created for Apple’s stores. The new works had a significant structural impact, requiring major interventions to the primary building frame. These included recessing 2nd floor beams to provide greater ceiling height, relocation of primary structural columns, installation of new transfer structures, removal of the existing 1st floor level (mezzanine) and support to new stonework walls and staircases, all within the fully occupied commercial building. To minimize the downtime of the store the client introduced a temporary retail facility in the basement space whilst allowing the more significant structural works to progress behind the scenes at the above levels. This required the strategic sequencing of structural enabling works which had to adapt the continually changing construction envelope. The first phase of works involved strengthening the ground floor structures to support the weight of 12 mature Ficus Alii trees introduced within the ground level ‘town square’ area. On completion of temporary lift shaft, staircase and finishes the store could be relocated allowing for commencement of the heavy construction works above. The second phase included the removal of the mezzanine floor level by plate-strengthening the existing columns to open up the main retail floor into a vast double height space. Existing columns supporting 5 floors of glass partitioned offices were removed and loads transferred to establish a perfect symmetry to the new internal space. The depth of new transfer beams was limited to a shallow 660mm. 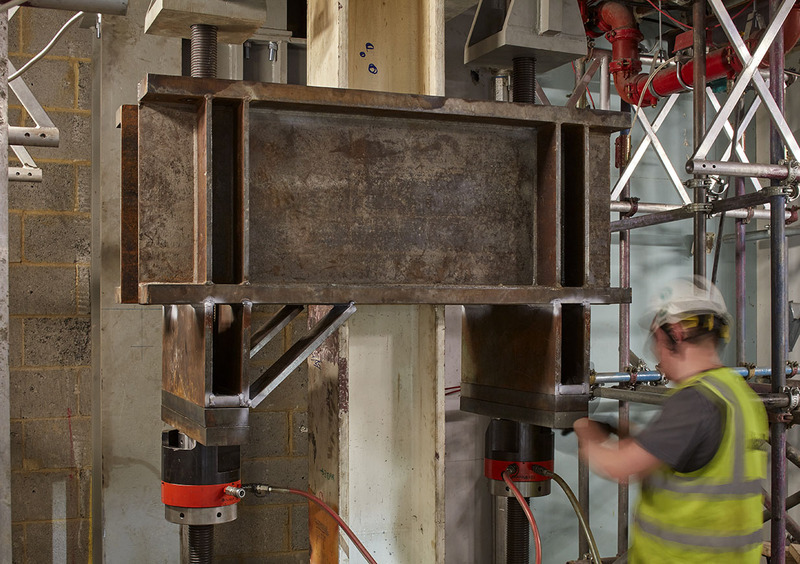 There was no access above transfer level which presented a huge technical challenge for their installation and a complex regime of temporary works was engineered to control the transfer of load transfer (700 tonnes per column). The offices floors above remained fully operational and apparently unawares throughout the process.